What is The Most Expensive Ping Pong Paddle? Ping pong is fairly simple sport that anyone can enjoy, have fun, and participate no matter where they are located. It has been played all around the world on a daily basis. But just like in any other sport, ping pong equipment can get pretty expensive, but how expensive are we talking about? At the professional level of ping pong, there is very expensive equipment involved from professional ping pong tables to professional ping pong paddles. But what could be the most expensive ping pong paddle in the world? Do any of professionals use it? Answers to these questions can be found if you continue reading the article. What Determines The Price of a Ping Pong Paddle? Most people think that the brand plays a huge role in the price of ping pong paddles because most of the time branded equipment is more expensive. But people aren’t looking at it from the right point of view. Ping pong paddles that come from most-known brands usually have gone further to use the high-end technology to provide the best possible equipment. The upgrades that brands constantly work on are worth the price, and that’s one of the reasons why brands might be expensive, yet very effective. 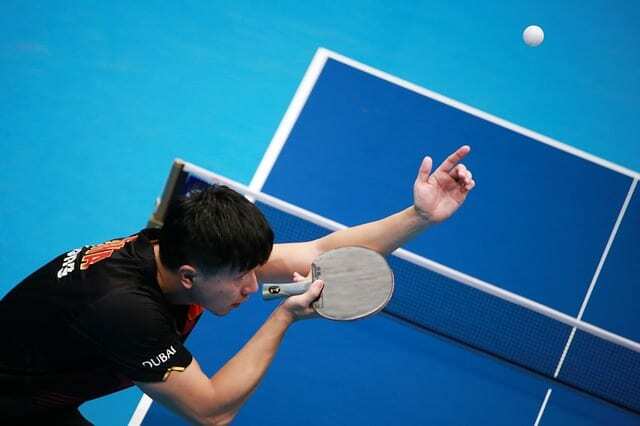 For example, Butterfly is one of the brands that went really far with the modern technology to develop one of the best ping pong paddle blades and rubbers in the world, and that’s why some of the best ping pong players such as Timo Boll have been using their products through their ping pong career. To get the best out of something, someone has to work hard to achieve it, and that’s why some of the best equipment in any sport could cost a lot, but you get what you pay for and that’s the rule you can rely on with almost anything in life. One of the most expensive ping pong blades comes from a well-known brand Butterly and it is the Zhang Jike Super ZLC blade. Zhang Jike Super ZLC is a very offensive blade which features fiber that is 1.8 times better than other ZL blades. Such blade with so many fibers gives a sweeter spot in the middle of a blade that provides the better impact of the ball. Some people can say that it’s kind of ridiculous that Butterfly priced their blade at such a high price and that it’s mostly for the attention by placing it as one of the most expensive blades in the world. Also, some people agree that this blade will make previously expensive blades feel cheaper, therefore, they might be more often considered by ping pong players. Whatever the reason is, I agree that a real high-end technology has been used in the making of Zhang Jike Super ZLC blade and that the price might be too high, but that’s the cost of the professional level of any sport. There are many ping pong rubbers out there, yet one of the most expensive ping pong rubbers again comes from the well-known brand Butterfly. I’m talking about the Butterfly Tenergy series of rubber. They’re one of the highest priced ping pong rubbers on the market, and they aren’t that new at all. Tenergy 05 or 64, for example, are rubber from the Tenergy lineup series, and they’re one of the most popular rubber from that series and have been actually used by professional players. If you have watched the video about how Tenergy rubbers are made, and what else has been improved, you would realize that the Butterfly took rubber producing on another level, so did it take the professional level of ping pong on another level. Therefore, I agree that Tenergy lineup ping pong rubbers might be one of the most expensive ones at the market, however, they have the reason and I would definitely purchase them anytime I am in a need of a new ping pong rubber for my paddle. The quality costs, and with Butterfly, you definitely get the best quality possible. 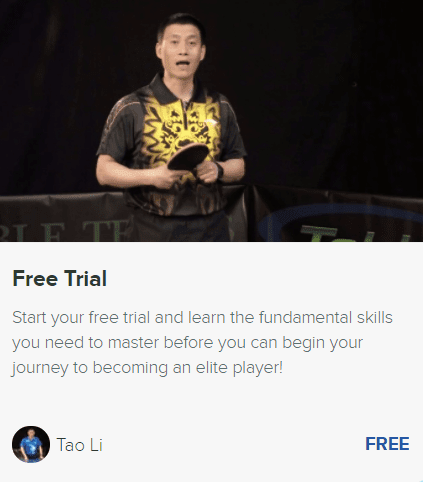 If you are a beginner or even an intermediate player, you don’t need to bother yourself with searching for the best ping pong paddle that has been used by professional players. However, it’s good to know and keep up to date with the best brands in the world of table tennis. It can never be a bad thing of course. Although, don’t think that you need to purchase the most expensive ping pong paddle even if you’re a professional. There are many great ping pong paddles for a cheaper price that will do the job just fine too. What are ping pong paddle you using?